Over the summer Fountain Square hosted Salsa on the Square every Thursday which included salsa lessons. The event showed the most growth of all of Fountain Square's summer events with crowds of 400-500 people by the end of summer. With these weekly nights of Salsa on the Square done until next summer, I couldn't think of a better spot to rekindle the dancing magic during the winter months than the Blue Wisp Jazz Club. This Thursday, November 13th, the Blue Wisp will have salsa dancing with Mambo Diablo starting at 8pm. Free dance lessons will be available a half hour prior to the show. There is a $5 cover charge for this show, but if you're one of the many who are into salsa dancing then this is probably for you. 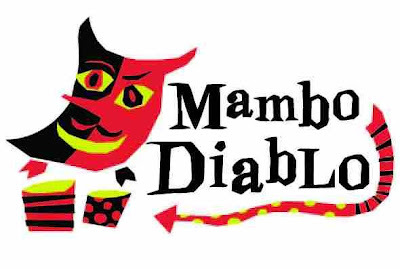 Mambo Diablo consists of John Zappa (trumpet), Stan Ginn (percussion), Bill Jackson (bass), Mike Darrah (piano) and a couple others. You could make it a full evening of music at the Blue Wisp (GoogleMap) by getting there after work for happy hour. The free show features The Courthouse Trio with Billy Larkin (piano), Eddie Felson (bass), and Al Beasley (drums) will be taking the stage at 4:30pm, but would make for a great after work stop whenever you get off. There are plenty of food offerings, and of course lots of drinks to choose from.